At The Law Offices of Patricia Hibler, I have been helping families throughout Texas resolve their legal disputes for more than 25 years. Clients come to me when they need experienced, knowledgeable legal counsel, and creative solutions to their families' toughest problems. The stress and uncertainty caused by family disputes permeate all areas of life. I understand that emotions often run high, and I work with my clients to make sure their family law disputes are resolved in the most calm and efficient manner possible. You are under enough stress as it is – you don't need an attorney creating unnecessary waves. At my law firm, I take the time to make sure my clients understand their current legal situation. I explain their options and the long-term legal and practical consequences of those options. Together, we will develop a legal approach that best fits your current needs and goals for the future. My law firm represents both men and women in all areas of family law, including divorce proceedings, paternity actions, child support and alimony determinations, and adoption. I also work to enforce clients' child support orders and help clients obtain modifications to their alimony, child support and child custody orders. I provide comprehensive family law representation. 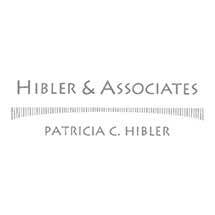 Contact my law firm, The Law Offices of Patricia Hibler, for a calm, honest and personalized approach to your family's legal disputes.